I have a question about the horizontal cross section. Does that mean only top down is allowed as opposed to other views: isometric, oblique, etc...? WIP. I describe it as a "crystal cave dug by the ancients" with a couple of torches placed on the walls, a thing with a chinese dragon head statue with water coming from the eyes, and a passageway that leads to another hall, but I dunno for sure if that's enough to make it count as a cross-section image of an underground structure... Does this qualify, or do I need to add/remove/change something to make it qualify? Can anyone show an example of a 'cross-section'? The XCOM: Enemy Unknown base screen is a good example. 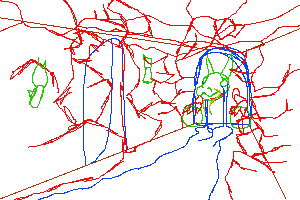 If I got anything from wiki, is it something along the lines of having one vector interject with another / one corridor interconnect with another / a room? EDIT: Okay, wiki went apesh*t on me. This has nothing to do with Orthographic Projection, right? Whoops, sorry about that. I put a link there to show a screenshot, but it didn't link properly. Ant farms are another good example. *sob sob* I still don't get it. And the dictionary is not helping with an actual mental image. Is this one really that obvious, but I am just missing it? When you slice an apple or orange in half, you get a cross section of them. Basically, think of it as more-or-less a side view (although it doesn't have to be strictly side view) of the inside of a volumetric object (or scene/structure, in this case). A cross section is a valuable tool used to see interiors and structure, ratios, relation between spaces; essentially anything not immediately visible or apparent from the outside. I don't think I'll have time to finish this, but I needed to vent some stress out with doing random pixel art so I just picked this week's theme as the stress reliever. 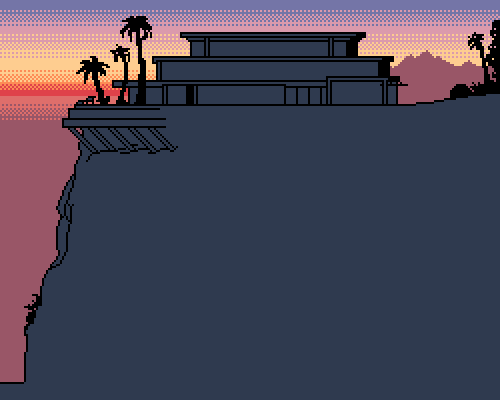 Anyway, cliff mansion with a secret underground lab (think batcave) is what I was going for. Ohhh, please finish it (of course, if you can't then you can't, but still...)! This is a great start! You have some fantastic sky colours as a start! Looking great! Really loving those bricks. hmmm... I know I want mountains in the back ground. But the palette needs a face lift. I might just steal a 16 palette and give cred. and Yes I do do do need to work on my colors. So it is related to Orthographic projection. Alright, very well. This was done both for this weekly challenge and as a concept for a very late job application (which of course I botched because of the late application). Small update. changed the bottom bricks, im not sure how they should look :/. im going to think about some stuff to go in the dirt, to add some detail. also, should I keep the updates on one post? 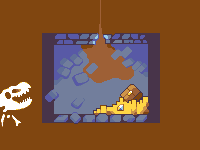 hmm hows this im not sure wether the lower half of the well makes sense tho? @Pixel Chicken, would a well have a bottom? Wouldn't there be an aquifer there, perhaps you could pixel how the water percolates through the ground with all the channels and underground caves it creates? I love making tilesets and this challenge is a great occasion to follow MrmoTarius' teaching : "If in doubt, use tilesets!" 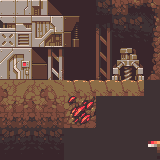 Mmmm, you get great depth with your tiles. I really love them! 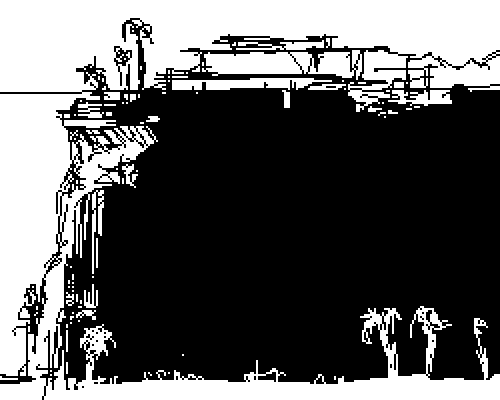 I believe I remember an old tileset you made that was fairly abstract on wotp; that one will always stick with me as really awesome! I'm not sure where to go with mine. Thank you Gecimen! Sadly I couldn't finish the entry I started working on, hopefully I can continue working on it at a later date.